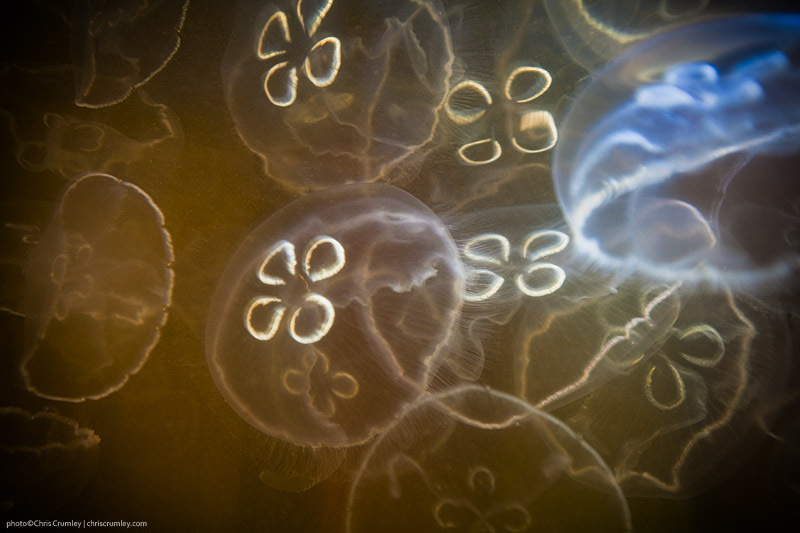 Unlike the creatures in Jellyfish Lake in Palau, Micronesia, the jellyfish in Crystal Lake, Virginia Beach sting. Nevertheless, they are hauntingly beautiful, especially when they cluster together and hardly an inch or two separates them. It happens this time of year in the warm shallow tanic-brown water of Crystal Lake and other places around Virginia Beach. I've been threatening to get in with them with the housed Canon EOS-5DMkII and, finally, yesterday, I did. I felt the smooth tops of their domes brushing against my hands and arms, but evidentially missed the stinging parts. Now that I've done it once, I want to do it again and experiment with different angles, optics and light.